This product is use metal body with rubberized outer coating, more durable than the plastic ones. It has 8 watering settings, turn the dial to choose appropriate pattern easily with a faucet on the handle. Made of solid 3/4" brass connectors. 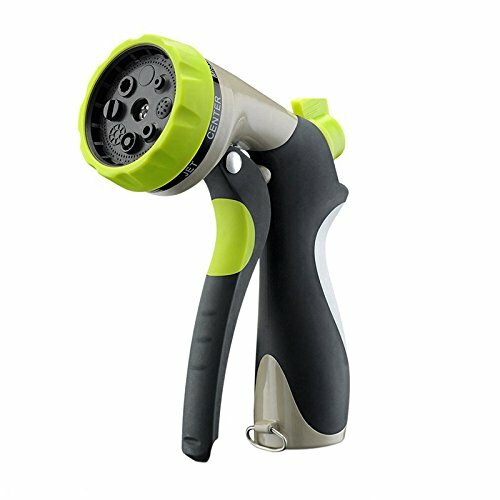 Perfect for Watering garden, washing car, showering pets etc. Have features a nice lock bar at the bottom of the handle, keeping water remains without applying any pressure. If you have any questions about this product by Accreate, contact us by completing and submitting the form below. If you are looking for a specif part number, please include it with your message.